As Donald Trump is sued by the attorneys general of Maryland and Washington, D.C., for “unprecedented constitutional violations” and as another federal appeals court rejects Trump’s Muslim ban, Amy Goodman and Juan Gonzalez interview best-selling writer Naomi Klein. As Donald Trump is sued by the attorneys general of Maryland and Washington, D.C., for “unprecedented constitutional violations” and as another federal appeals court rejects Trump’s Muslim ban, Amy Goodman and Juan Gonzalez interview best-selling writer Naomi Klein, author of the new book, No Is Not Enough: Resisting Trump’s Shock Politics and Winning the World We Need. 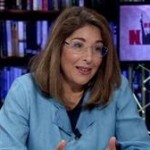 A decade after Naomi Klein published her now-iconic book “The Shock Doctrine,” the best-selling author and activist reflects on how Donald Trump represents a form of continuous shock and how he ran a branding campaign—more than a political campaign—in order to capture the presidency. The United States has refused to sign on to a G7 pledge saying the 2015 landmark Paris climate accord is “irreversible.” On Monday, the U.S. said it would not join the six other member nations in signing on to the pledge. This comes after Trump announced he was pulling the U.S. out of the historic accord. Since Trump’s inauguration, the United States and the world have been rocked with a series of massive nationwide days of action, including the Women’s March, the People’s Climate March, the March for Science and the March for Truth. Just this weekend, more than 4,000 people joined the People’s Summit in Chicago.